With band CV highlights such as tours with Fish and Saga, 4 very critically acclaimed albums 1999-2006, 2 gigs at Sweden Rock Festival, opening for Yngwie Malmsteen and being “big in Japan” it would be fair to say that A.C.T are Skånes most successful band in the genre. However, the title of their last… album “Silence” from 2006 (#4 on Swedish album chart) is also an appropriate description of the band’s status since then, leaving many fans worldwide unsuccessfully yearning for more A.C.T life signs! Until now, that is!! 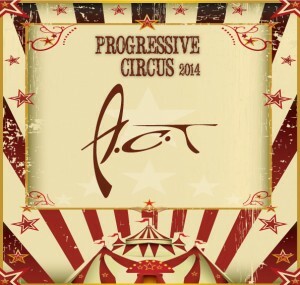 Progressive Circus are now first to announce an official A.C.T comeback concert, following the release of their much anticipated fifth album “Circus Pandemonium” in the spring 2014. A.C.T’s highly eclectic and melodic blend of genres has become a reference style within progressive rock and attract audiences not only from the nerdiest Frank Zappa LP completionists, but also the fans of Saga, Queen, Rush, Dream Theater and ELO. The production of their albums is always top notch, with a nod towards Toto or Steely Dan, while their live performances are energetic and a must see for the musically interested! DO NOT MISS! !